Click the below image to see our page of "Thanks to our Volunteers." 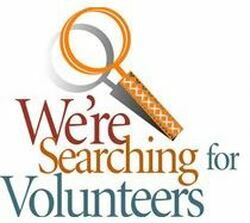 Northshore Council PTSA has many volunteer opportunities for people with all skill sets and variable amounts of "free" time. Check out the various Council programs on our website to see what committee interests you, then fill out your information below and click the "Submit" button. We'd love to have your help! If you just want to help and get more experience at the Council level, jump in on any committee to offer to help. It's fun and you will work with super smart people!